They say most individuals rate a house based on two key rooms, the kitchen and the bathroom. The former is by far one of the most important rooms within one’s abode, and the latter a crucial and essential place to rest, relax and rejuvenate the mind and the soul. The washroom is where we will be focusing our attention today, by taking a look at how you can pimp your bathroom and transform it from dingy, dank and uninspiring into fabulous, chic and ultra-stylish. Now we’re not here to pretend we’re Xzibit and the team at Pimp my Ride, but instead we are going to provide a few simple alterations that will jazz up your space, and pop a little pizzazz into your bathroom design. If your wash space is lacking a little ‘cool’, or void of character, then read on to learn more! Easy to implement tips such as adding the colour white to your scheme, replacing fittings, covering the floor, and employing a mirror are just a few of the different ways you can give your bathroom a new lease on life. Be proud of your washroom and pimp it with homify’s upgrade guide! Nothing brightens a drab, dull and uninspiring bathroom more than a lick of fresh white paint. While white may seem like a boring choice when looking to upgrade one's bathroom, it actually sets a neat canvas for all your creative additions and embellishments. Moreover, white doesn't have to be used on its own as it looks fabulous with a range of other tones, hues, and shades. Take a peek at this example above; the space is truly updated with a large opening loft window, white colour scheme, interspersed with a textured feature wall and a contrasting timber floor. The in-built shelving is a great addition as well, providing a space for stylish bathroom related ornaments, or handy accessories. 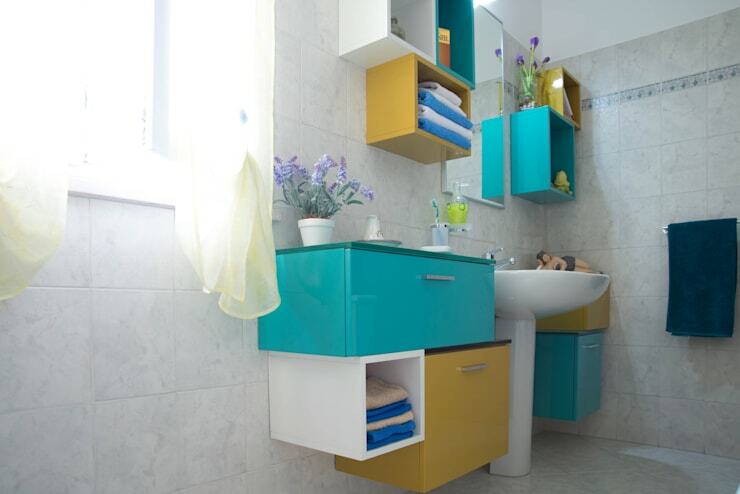 Move over tired, unexciting, and old bathroom fittings, it is time to revamp your space with a little modernity! When updating your bathroom look past tradition and opt for fixtures, hardware and fittings that are sure to make your room chic and sleek. Sure traditional fittings are full of character and can impart an element of charm and charisma within a space, but when truly wanting to make your room stand out from the crowd, you need to look to the future. Taking some cues from this exciting example above, we see a freestanding tub that is striking and enticing. Look at updated versions of older items such as this bathtub, as well as accessories that baulk the classic trends and ooze a contemporary edge. Nothing says indulgence, luxury and opulence like a sauna. With their steamy ambience and alluring timber scent, a sauna-like theme employed within your bathroom is sure to give it a tempting aesthetic. Now, when it comes to your bathroom you may not actually want a sauna, but you can still benefit from some spa-esque finishes. In the gorgeous example above we see how the designer has added a sunken timber floor to the walk-in shower, with a space to hand one's dressing gown, as well as timber accents throughout. 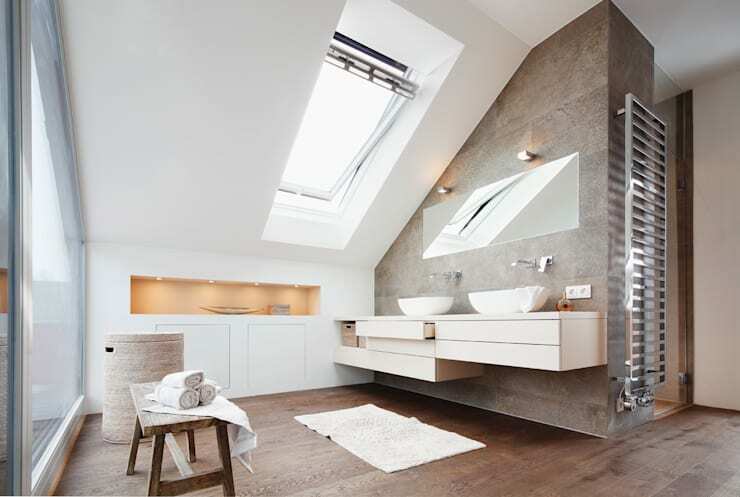 If you are considering a bathroom in this style but are unsure where to begin with planning and design of the space, it might be a good idea to chat to a professional. Take a peek and peruse some of our bathroom designers here! As we stated earlier, white bathrooms are sleek, timeless, and a perfect way to give your bathroom the update it deserves. However, if you want to take it that extra step further and impart some pizzazz, a little spice, and some vivacity, you need colour! Colour is the best way to inject your own personal preference and individuality upon a space, and picking the right hue is essential. If you need a hand or some advice in choosing a suitable colour scheme for your bathroom, you might want to chat to a professional who can assist with the trickier details. The example above is a striking demonstration of how colour can be used to impart interest, style, and a sense of uniqueness. Choose either different hues that match each other or go for a complimentary selection of contrasting colours. Tiles have been used in bathrooms since the first bathrooms of ancient Rome; it is for this reason that they are a timeless and seamless choice for anyone updating their wash space. Tiles are practical, they not only look sleek, but they are easy to clean, easy to maintain, and are available in countless styles. 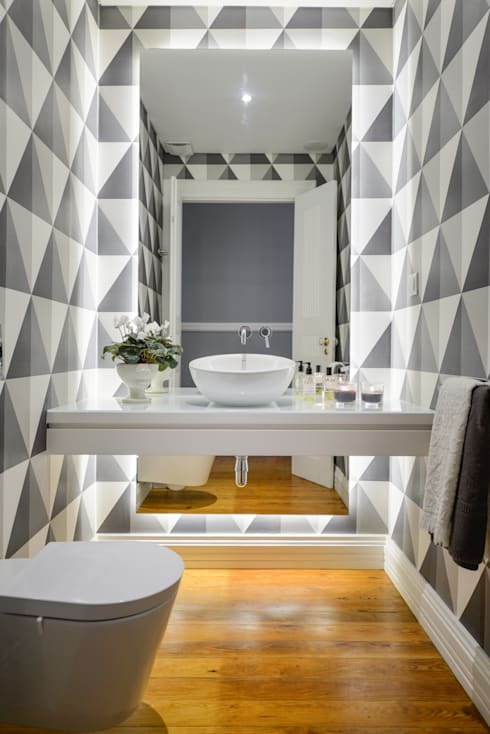 Modern tiles are a great solution when refreshing a tired old bathroom atmosphere. Choose tiles in a contemporary pattern such as the geometric example above. Additionally, if you don't want to fork out the money to re-tile your entire space, you might want to consider a tiled feature wall, or perhaps a new tiled floor. Furthermore, if new tiles are completely out of the question, tile stickers can provide a simple solution for those renting but still wish to update their home's aesthetic. Nothing says class, luxury and lavish style more than individually hung mirrors in a bathroom. 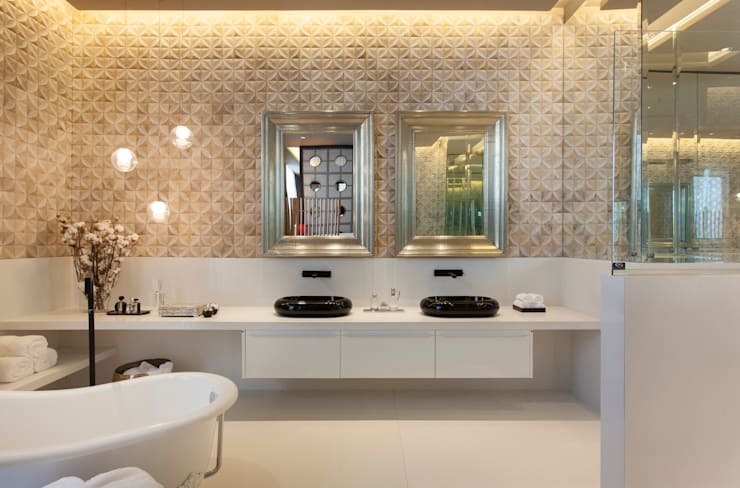 Mirrors are essential to the proper functioning of a bathroom, and a lot of the time are forgotten when it comes to the overall style and design of the space. Older bathrooms often have small mirrors that don't suit or fit the overall practicality and versatility of the room, while others are chipped, damaged, and look shabby. Consider removing your in-built mirror and pick a single or pair of mirrors that will exude style and truly pimp your bathroom. The example above is a perfect illustration of how one can achieve this within a room. Here the mirrors sit above the twin basins, providing a neat place to view oneself, as well as a statement piece of furniture. We hope this Ideabook helped you update and refresh your bathroom! 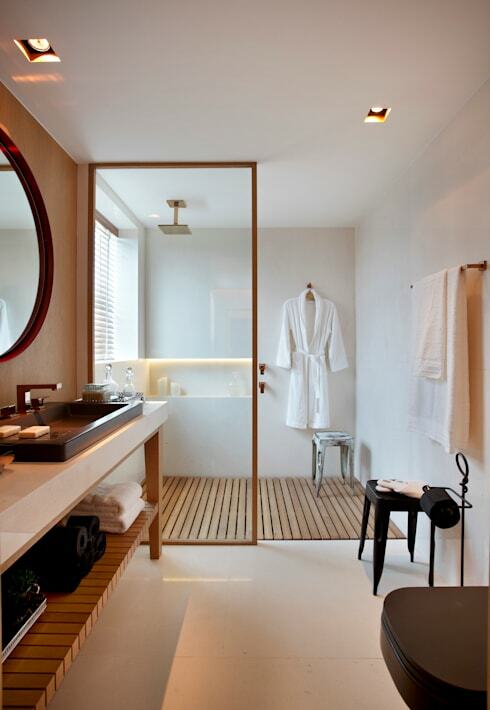 If you'd like to continue reading, or would like some more interior inspiration, check out Small bathroom design ideas. Which of these bathroom ideas do you like best? Do you have any hot tips? Let us know in the comments below!